Harry yang imut telah berubah dari segi fisik. Sekarang Harry telah bekerja dan mempunyai anak. Seperti Harry kecil sebelumnya, harus menanggung beban dan tanggung jawab yang tidak pernah di inginkan. 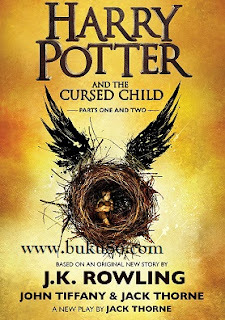 Novel Harry Potter And The Cursed Child, The official playscript of the original West End production of Harry Potter and the CursedChild. It was always difficult being Harry Potter and it isn't much easier now that he is anoverworked employee of the Ministry of Magic, a husband, and father of three school-agechildren. While Harry grapples with a past that refuses to stay where it belongs, his youngest sonAlbus must struggle with the weight of a family legacy he never wanted. As past andpresent fuse ominously, both father and son learn the uncomfortable truth: sometimes,darkness comes from unexpected places. 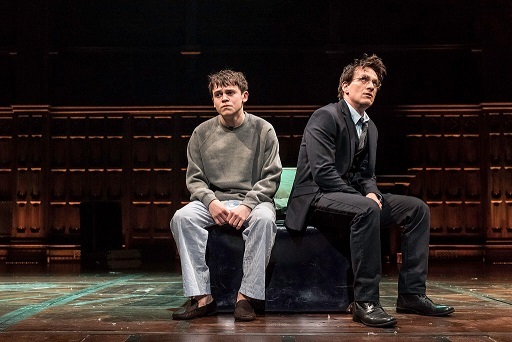 The playscript for Harry Potter and the Cursed Child was originally released as a 'specialrehearsal edition' alongside the opening of Jack Thorne's play in London's West End insummer 2016. Based on an original story by J.K. Rowling, John Tiffany and Jack Thorne,the play opened to rapturous reviews from theatregoers and critics alike, while the officialplayscript became an immediate global bestseller. Novel Harry Potter And The Cursed Child ini dapat dikirim keseluruh Indonesia. Silahkan hubungi nomor telp kami untuk order dan menanyakan stock.